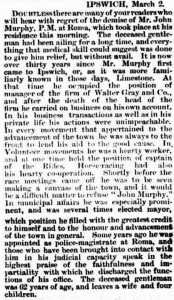 John Murphy was born on the 25th September 1820 in County Cork, Ireland to Daniel Jervois Murphy and his wife, Susan (nee Godson). He arrived in Ipswich in 1852 and became a Storekeeper and Commission Agent. In 1862 John married Hannah Julia (nee Smith) and they had six children, Aileen, Ernest John, Edward, Mary Constance, Richard Henry and George Jervois, all born in Queensland. 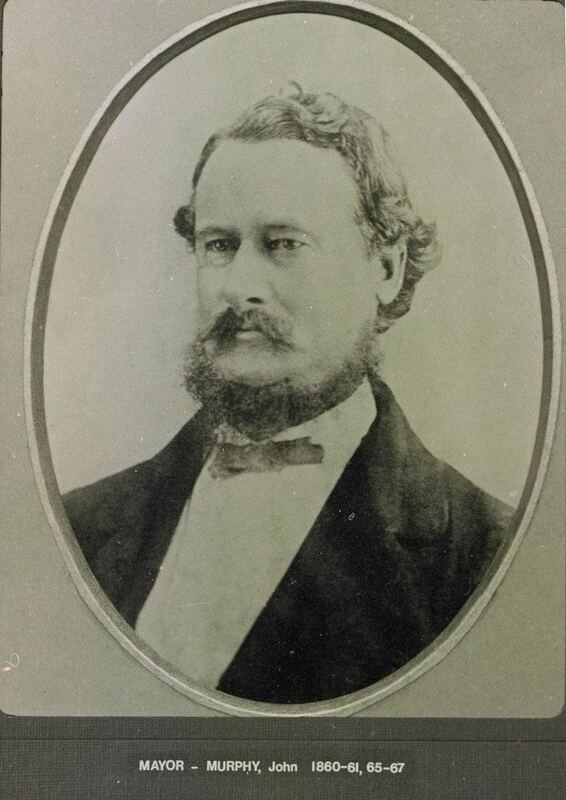 He was the first Mayor of Ipswich and was elected to Office on 12th April 1860 and held Office on five occasions. Mayoral Terms of Office until 1936 were for twelve months only, thereafter, elections were held every three years. He was also a Police Magistrate in Goondiwindi and Roma. During his lifetime he held a variety of positions such as Lawyer’s Clerk and Storekeeper’s Assistant at Muswellbrook, New South Wales. 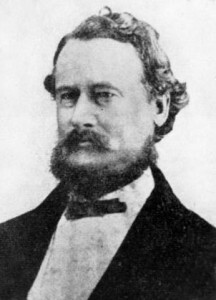 He served as Mayor and Alderman from 19th April 1860 to 2nd April 1862; 15th February 1865 to 27th January 1868. John Murphy died on the 1st March 1883 and is buried in the Ipswich Cemetery. Information from the Ipswich Genealogical Society 2003 Calendar commemorating 25 years of family history.